These top biking routes in India will beckon to your gypsy soul. 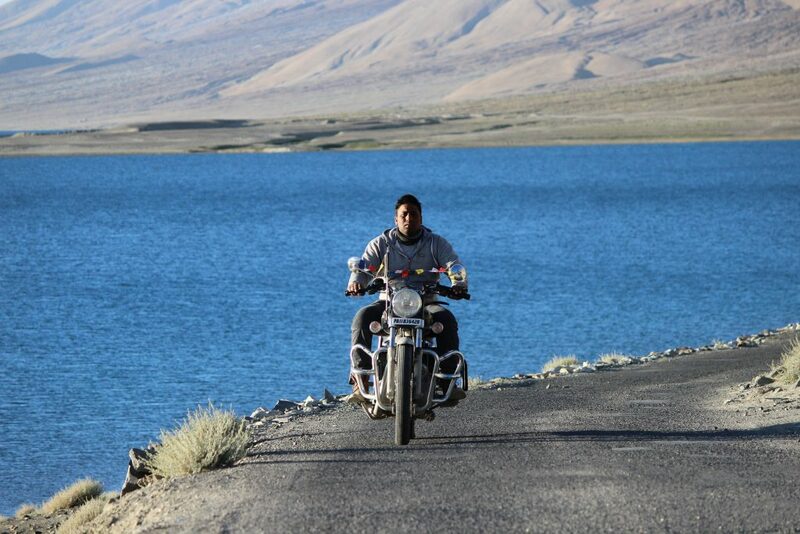 The most iconic of all the top biking routes in India, the route from Manali to Leh covers about 900 kms over 8-10 days. You’ll start in the lush valleys of Manali, passing through pine forests and apple orchards, and will ride straight into the heart of the most starkly beautiful regions of India. On this route, you’ll thunder through high-altitude mountain passes, visit ancient monasteries, and camp at gorgeous locations at night. You’ll spend a day or two acclimatising in Leh, and then set off to Jispa, and onwards to Sarchu. You’ll ride through the Khardung La Pass, one of the highest motorable roads in the world, into the cold desert of Nubra Valley, where you’ll see sand dunes and double-humped camels. After that, you’ll head to the blue-green Pangong Lake, and spend a night there, before returning to Leh. At the end of this road trip, Leh will be a part of you forever. While this route has huge appeal to bikers in the country, the Manali-Leh ride also attracts bikers from around the world, challenging them to come and test their skills on the rocky, uncertain terrain. The roads are often blocked by landslides or river overflow; the weather conditions can be extreme; villages are few and far between, and the altitude itself is not easy to manage. But as far as biking adventures go, this route is at the top of our list. The ideal riding season is from Apr/May to August. During these months, the snow has been cleared from all roads and most passes, and the weather has warmed up a little after a long, frigid winter. You’ll see plants beginning to emerge from the ground again, farms and orchards start turning green, and the rivers start to fill with snowmelt. The Spiti Valley route is one of the top biking routes in India because it takes you to the land between Tibet and India. Time seems to have stood still here, but the Tibetans and Indians have created their own uniquely blended culture that suits them perfectly. This region is also home to the reclusive snow leopard, and when you see the sweeping wilderness around, you’ll know why. This trip usually starts in Chandigarh, where you’ll ride along smooth highways and up towards Shimla. You’ll see the landscape start to change as you enter Sangla, and proceed onwards to the Pin Valley, Kaza, Kunzum La, and Chandratal. You’ll visit ancient monasteries, clamber up to the tops of cliffs to take in the views, and ride up to Chandratal, a gorgeous blue lake surrounded by arid mountains. This route is not as popular as Ladakh, but this is exactly why we love it. There are fewer bikers to deal with, so you’ll have the roads to yourself. You’ll also get stunning views of lakes and rivers that are undisturbed by tourists, and you’ll enjoy the peace and quiet of the campsites every night. Over about 8 days, you’ll cover 500 kms of sprawling beauty. The best time to visit is between Apr/May to October. 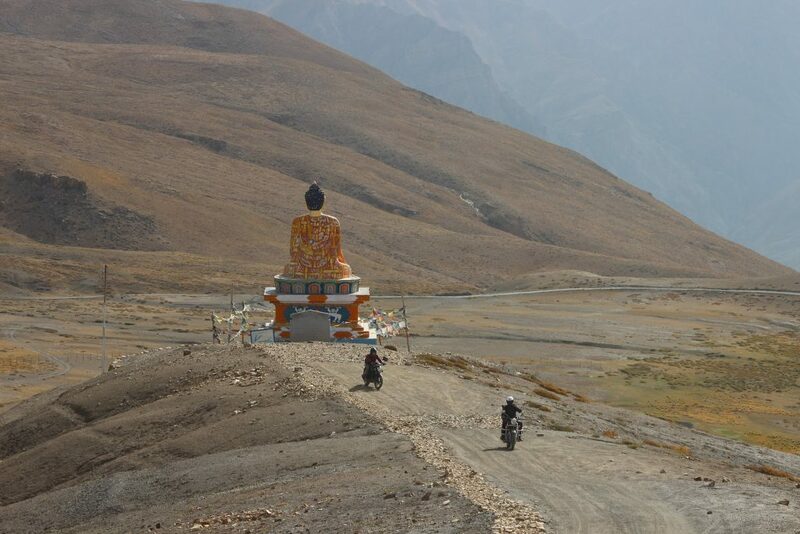 Find motorbiking trips in Spiti. 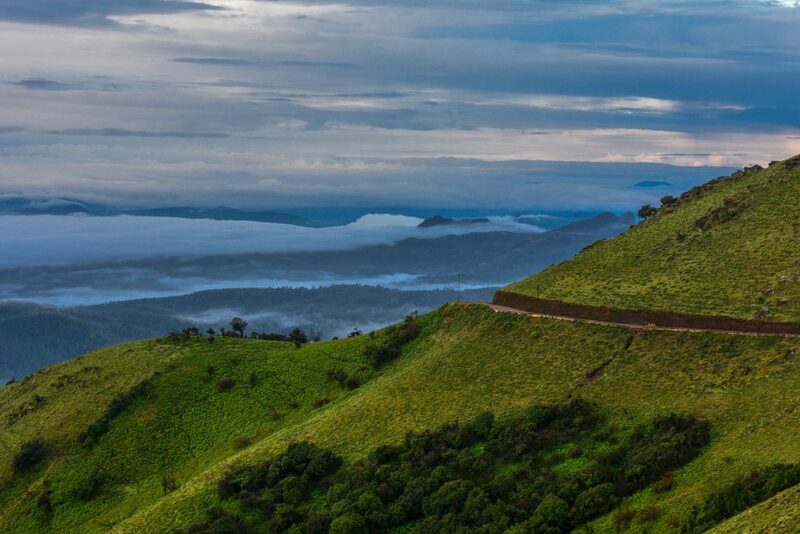 The Mumbai-Goa route is one of the top biking routes in India because of the varied landscapes it takes you through. Over 3-5 days, you’ll cover 600 kms at an easy pace. You’ll weave through the Western Ghats, dipping down to visit the coastline and stopping at the many gorgeous beaches en route to Goa. You’ll be passing along sun-dappled roads through tropical forests to the Malvan coast. From Mumbai, you’ll proceed onwards to Harihareshwar, Anjarle and Ganpatipule. These beaches are more or less untouched, and offer long stretches of white sand and blue water. Once you get to Goa, you can ride to the farther beaches, where there are fewer tourists and more natural beauty. There are numerous hotels along the route, and plenty of opportunities to dig into the delicious Maharashtrian, Konkan and Goan cuisines. The best time to do the Mumbai-Goa biking route is between November and February. This is when the temperatures drop, and you’ll enjoy riding in the cooler days. The rest of the year is quite hot, and you’ll have to start very early to beat the heat. These are just some of the top biking routes in India. There are also dozens of lesser-known routes out there, all just as beautiful as the above. Where you go depends on what you want to see. With the vast diversity of the country, you can choose to ride through icy cold deserts, salt pans, balmy coastlines, or tropical forests.